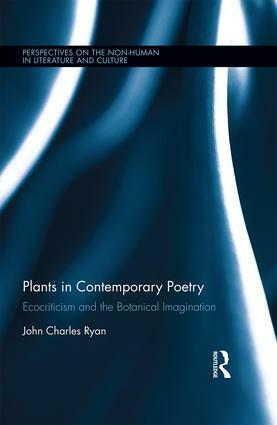 John Charles Ryan, Plants in Contemporary Poetry: Ecocriticism and the Botanical Imagination. New York: Routledge, 2018. 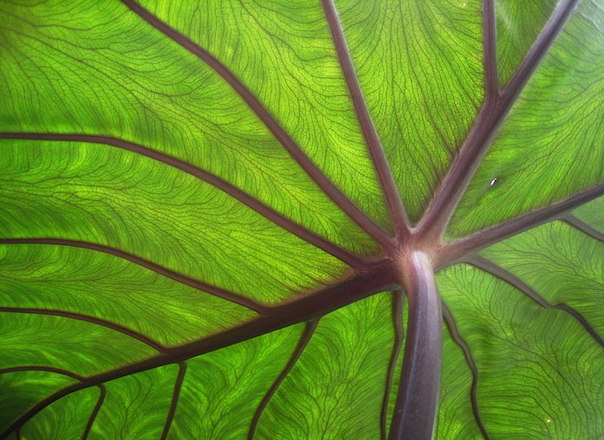 John Charles Ryan situates Plants in Contemporary Poetry: Ecocriticism and the Botanical Imagination as a major innovation in the field of ecocriticism. Moving beyond anthropocentric literary studies, the book succeeds in establishing interdisciplinary connections between the fields of neurobotany and literary plant studies, a subfield of ecocriticism. Ryan traces both natural history and botanical experience in twentieth-century Anglophone poets and sets himself against those ecocritics who implicitly presume botanical life to be of a lesser order than animal life because it is largely stationary and expressionless. His aim in writing Plants in Contemporary Poetry is to “disclose the power of verse to anticipate and parallel scientific thought through a freedom of imagination unrestrained by… prevailing discourses of botanical life” (4). 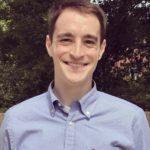 Ryan’s means of engaging the power of poetry is to forward a methodology he calls “phytocriticism,” which is an approach to literary criticism that is invested in phytophenomenology, or botanical being-in-the-world. Ryan’s work emphasizes botanical agency rendered for readers’ apprehension through poetic language. Not wanting to invalidate the imaginative representation of plants in poetry, Ryan attempts to balance discoveries and recoveries in neurobotanical research with poets’ biographies and thematic analysis of individual poems. He often cites the work of Charles and Erasmus Darwin, and Michael Marder, whose work on plant thinking and plant phenomenology is pivotal to Ryan’s understanding of vegetal dialectics. Comprised of eight exhibitory chapters and an introduction, Plants in Contemporary Poetry effectively introduces readers to the variegated possibilities of phytocriticism and vegetal dialectics. Chapters Two through Nine are each devoted to both an individual Anglophone poet and a theme within their work read through a phytocritical lens. The poet’s themes range from vegetal souls to vegetal hope to plant temporality, all of which Ryan presents with a thorough grounding in ecocritical research. Ryan’s first chapter outlines the theoretical grounding for his book and presents a compelling definition of his primary approach to poetic analysis, which he classifies as an optic, or a way of looking. An optic of vegetal dialectics, for Ryan, prioritizes the “generative tensions of contradictoriness” found in the vegetal world and the botanical imagination (15).1 He writes that the vegetal optic takes note of the “oscillation of states of difference and sameness between plants and non-plants” (16) and traces this oscillation in different formulations throughout the remainder of his chapters. Chapters Two and Three extend the vegetal dialectic through a consideration of the plant soul and the plant body, respectively. By presenting an anthropological and botanical history of the inclusive tensions present in Australian poet Les Murray’s syncretic work, Ryan considers how poetry can generate what he calls the “ensoulment of plants—as active, percipient, and responsive beings” (48). Ryan argues that by combining Aboriginal and Christian approaches to the world, Murray’s poetry demonstrates a kind of panentheistic understanding of plant souls, suggesting that the means of a plant’s ensoulment in poetry must be connected to its habitat and movement through space.2 Meanwhile, Mary Oliver emphasizes the physical bodies in which the plants’ souls are manifested. Grounding his argument about Oliver’s poetry in recent research into the affinities between mammalian and botanical bodies, Ryan argues that an ethical relationship between humans and plants cannot maintain that plant bodies are disposable material. Instead plants and humans are subject to similar environmental conditions and will “partake in a common fate” (75). Ryan concretizes the relationship between human and plant bodies and souls in the next several chapters. In a chapter on Elizabeth Bletsoe, Ryan considers the power of “bioempathic emplacement” to heal reciprocal wounds in the plant world caused by humans. Focusing his argument on Bletsoe’s radical form, Ryan suggests that the poet attends to environmental degradation of vegetal habitats, especially the loss of historically medicinal plants. He writes that her work “exemplifies the capacity of radical botanical writing to intervene in the rigid conceptualization of plants as mute, immobile, insensate things” (89), which demonstrates the empathic/affective qualities of plants. Like Oliver, Bletsoe engages with the botanical world to draw attention to and preserve the loss of knowledge derived from the land. While Chapter Five considers Alice Oswald’s use of botanical humor as a resource of hope in the dialectic relationship between plants as background and plants as agents, Chapters Six and Seven connect vegetal dialectics to botanical memory and plant temporality in language. Ryan argues that Louise Glück endows plants with the ability to have memories of themselves, their environmental contexts, and human action. Drawing on Marder’s work in botanical philosophy, Ryan claims that Glück gives plants a voice, indicating plants’ cognizance of their own temporality, that they have an experienced past brought forth by a “dialogue of memories” (138) between themselves and humans. Glück’s poetry offers a resistance to the erasure of past injustices towards vegetal bodies. By looking at “plant time” through the poetry of Judith Wright, Ryan suggests a possible means of redemption through the apperception of botanical temporal experience. He locates this plant time in the seasonal movements of death and rebirth that plants undergo throughout their life cycles, arguing that Wright’s conception of “vegetal temporality” emerges in those encounters between her native Queensland flora and apperception of different temporal experiences, especially those endemic experiences that have been marginalized in “the Australian biocultural landscape” (164). In Ryan’s estimation, Wright’s figuring of non-human temporality enables readers to attune themselves to the rhythms of plants’ experiences of time. Ryan’s study culminates with readings of the poetry of John Kinsella and Joy Harjo. Considering the death of plants and significant environmental change to a biologically fragile region, Ryan emphasizes what he calls “botanical melancholia” in Kinsella’s poetry dealing primarily with the Wheatbelt region of Western Australia (191). Plant death evokes affective and emotional responses (such as mourning) in human subjects, which Ryan identifies as the germ for Kinsella’s larger poetics, recognizing a legacy of environmental destruction of non-animal species within the Wheatbelt region while at the same time tentatively hoping for better ecological behavior within it. Ryan’s most convincing arguments about vegetal bodies and the human emerge in a discussion of hope, love, and plants in Joy Harjo’s poetry in his final chapter. Focusing on the figuring of plants as “a counterforce to the alienation, placelessness, despondency, and resentment of life in contemporary technocratic society” (221), Ryan deftly and convincingly demonstrates the capacity of plants to instill and inspire hope in humans. This hope encourages human actors to work for the healing and conservation of the botanical earth, if we can but imagine plants as the “image bearers” of hope. Plants, in Harjo’s poetry, allow us to imagine the material possibilities of hope through and alongside plants themselves, with the purpose of imagining and working towards a healed world from the ground up. As a book aiming to lay the groundwork for the field of phytocriticism, Plants in Contemporary Poetry does satisfyingly good work. Ryan’s deep knowledge of both natural history and current conversations in neurobotany and related fields makes itself apparent on nearly every page. However, future work in plant studies also needs to practice showing how vegetal dialectics are evidenced in literature through a close engagement with the formal features already present in the works themselves; Ryan’s work too often omits readings of form in its arguments. That being said, Plants in Contemporary Poetry ought to serve as a critical foundation for ecocritics interested in exploring the possibilities of plant agency, vegetal dialectics, and related themes in any literature that foregrounds the importance of botanical life and bodies. The contradictoriness here is a stance that can trace its lineage to Adorno’s Negative Dialectics. But rather than resulting in something essentially negative, Ryan’s work (as his last chapter shows clearly) returns to the sublation forwarded by Hegel’s understanding of dialectics at the same time that he attempts to flout this tradition to decenter anthropocentric conceptions of plant bodies. Panentheism is a term coined by nineteenth-century philosopher Karl Krause meant to suggest that God is in everything in the world but, unlike pantheism would suggest, that everything is not God. It has been used in connection with several eco-theological and ecocritical conversations by Episcopal Priest Matthew Fox, as noted by J. Scott Bryson in Ecopoetry: A Critical Introduction, Salt Lake City: University of Utah Press, 2002, 120-121.